Please note that a $100 non-refundable deposit for Beg/Intermediate & Advanced level Intensives is due April 15th, 2019 and a $50 non-refundable deposit due for Kids/Boys Camps. The remainder will be due June 1st. Non- bto students must call for audition. Scholarships are available for boys by ability and need. Call 513-319-3624 for more information. Ages 12 – 18 with at least 4 yrs ballet. Ballet technique, pointe technique, pas de deux, variations, repertoire, modern, character, theraband and conditioning classes (pointe classes will be split into two levels). June 17 – 21, June 24 – 28, July 1 – 5, July 8 – 12, July 15 – 19, July 22 – 26. Intensive performances: Friday, June 28, July 12 & July 26 from 3:30 – 4:30 p.m.
Generally Ages 9 – 11 (bto B3) with at least 3 yrs ballet. Ballet technique, character, repertoire, theraband and conditioning classes. Monday thru Friday, 9:30 a.m. – 1:30 p.m. 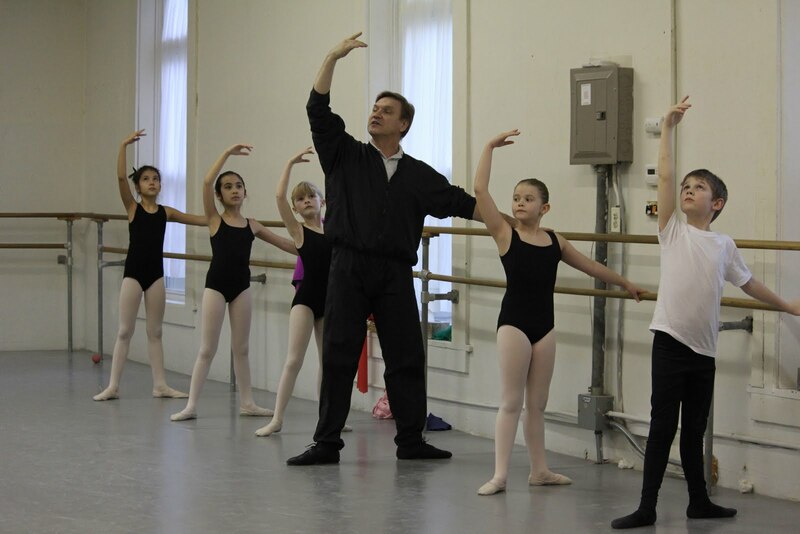 Intensive performances: Friday, July 5 & 12, 1:00 – 1:30 p.m.
Generally Ages 7 – 9 (bto B2) with 2 yrs ballet. Ballet technique, stretch and conditioning, theraband and repertoire. Monday thru Friday, 1:00 – 4:00 p.m. Intensive performance, Friday, Aug 2, 3:30 – 4:00 p.m.
A fun filled introduction to ballet including stretching & core strengthening exercises. Great for all sports! Parents are invited to observe class on the final day! Let your child’s love of dance and the arts thrive! Classes will promote gross motor skills, coordination, flexibility, musicality and arts. Children will be encouraged to use their imagination to create choreography, costumes and scenery. Monday thru Friday 9:00 a.m. – 12:00 p.m. Studio performance: Friday, June 28, 11:30 a.m. – 12:00 p.m.
Let your child’s love of dance and the arts thrive! Classes will promote coordination, musicality and ballet basics. Children will use their imagination to create choreography, costumes and scenery. Monday thru Friday, 9:00 a.m. – 12:00 p.m. Studio performance: Friday, July 19, 11:30 a.m. – 12:00 p.m.
Aug 5 – Aug 9. Studio performance: Friday, Aug 2, 11:30 a.m. – 12:00 noon. Instructors include Cervilio Amador, Gema Diaz, Melissa Gelfin, Serena Helene Hanavan and Edward Gonzalez Kay. Instructors include Claudia Rudolf Barrett and Sergey Pakharev. Please specify weeks your student will attend during registration; Registration and payment due June 1. Monday, 12:15 – 1:00 p.m.
Wednesday, 12:15 – 12:45 p.m.
Saturdays, 9:00 – 10:30 a.m.
Tuesdays 7:30 – 8:45 p.m.
Children develop their gross motor skills, musicality and coordination in a fun filled atmosphere, learning to work in a group setting that nurtures cooperation and social skills. Wednesdays, 4:45 – 5:30 p.m.
Children stretch and strengthen their muscles on the floor as well as learning basic positions, barre work and floor work with emphasis on flexibility, musicality and coordination. Wednesdays, 6:10 – 7:10 p.m.
Children will be challenged to advance in age appropriate technique while continuing their stretch and core strengthening exercises (partially with use of a theraband). Tuesday and Thursday, 6:15 – 7:30 p.m. Dancers will continue to advance technically, preparing them for a pre-professional level while continuing their stretch and core strengthening excercises. Tuesday & Thursday, 4:45 – 6:15 p.m.
Wednesday, 5:35 – 6:05 p.m.
Tuesday & Thursday 6:00 – 6:30 p.m.